Ahh, sunday chicken roasts, probably one of my favourite British dishes of all time. The succlent taste of meat, combined with a plethora of potatoes and vegetables, alongside a couple of Yorkshire puddings, the perfect sunday lunch indeed. Luckily for me, Dan is a bit of mean machine when it comes to cooking a roast, he’s got the recipe right down to a tee and loves the whole preparation, cooking and serving of it all. 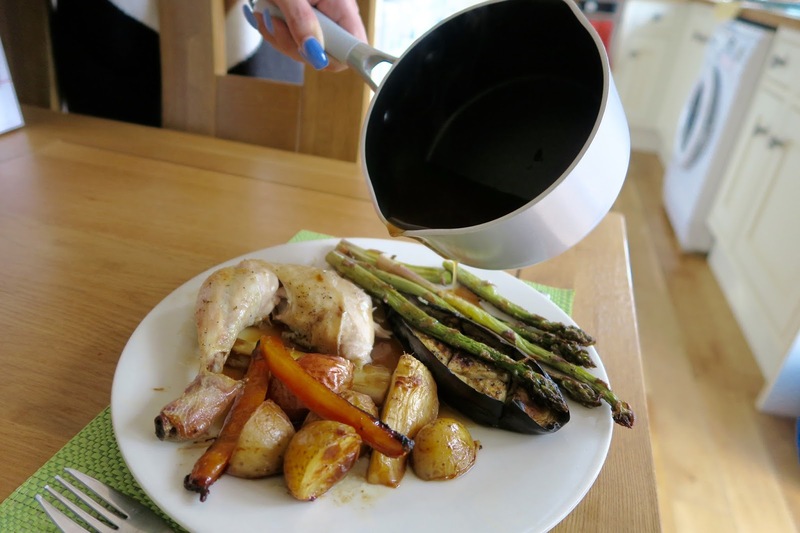 So in today’s post, I’m sharing his ‘easy’ sunday roast recipe, normally he does the vegetables separately, but for this recipe, he wanted it to be a quick one, so he’s put all the vegetables in to the pan and cooked it together with the chicken. Step one – Prepare the chicken by placing it neatly in the plan, drizzle some olive oil on it and marinate with some salt and pepper. 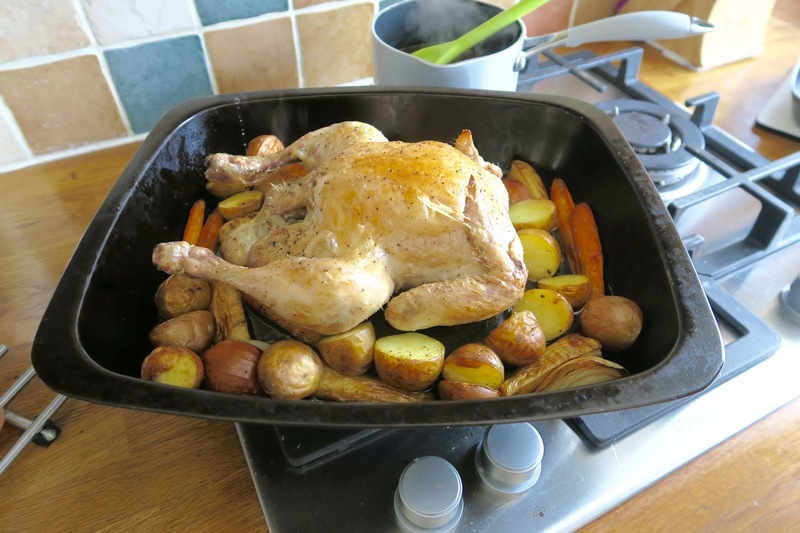 Step two – Cut up all preferred vegetables, we used potatoes, carrots, onions and parsnips and place them round the chicken. This will ensure all the juices of the chicken will be infused in the vegetables. Step three – Set oven on 200 degrees and place the tray in the middle of the oven and cook for an hour and twenty minutes. 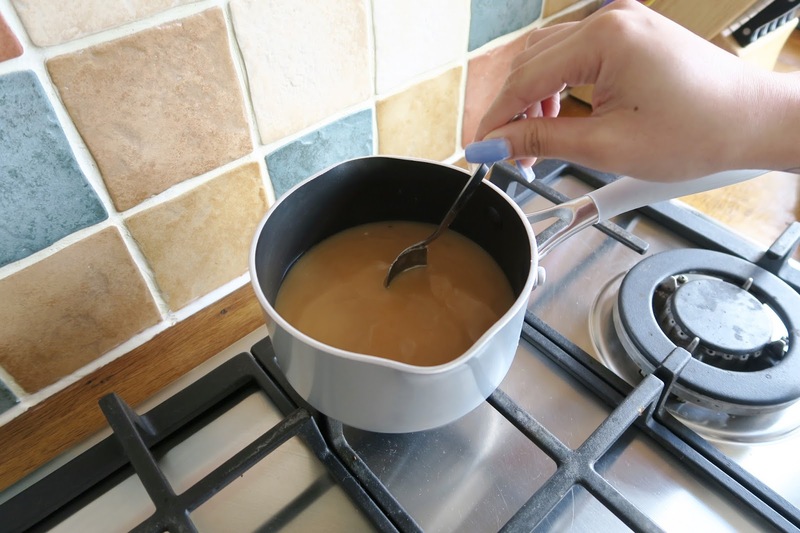 Step four – With ten minutes to go till the chicken is done, start preparing the gravy. 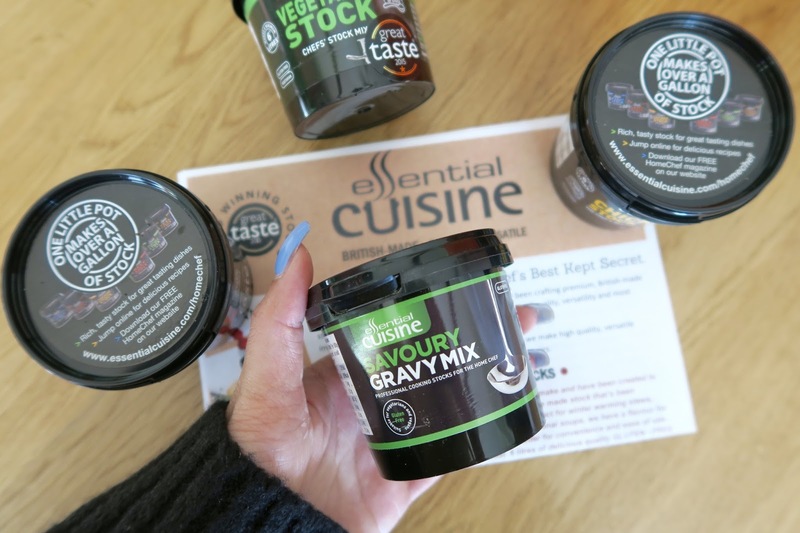 For this receipe, we used Essential Cuisine‘s Savoury Gravy Mix which tastes so good. They also have different types of stock such as chicken and vegetable flavour which we’re yet to try. At this stage, we also grilled some asparaus just for that little bit of extra vegetables. 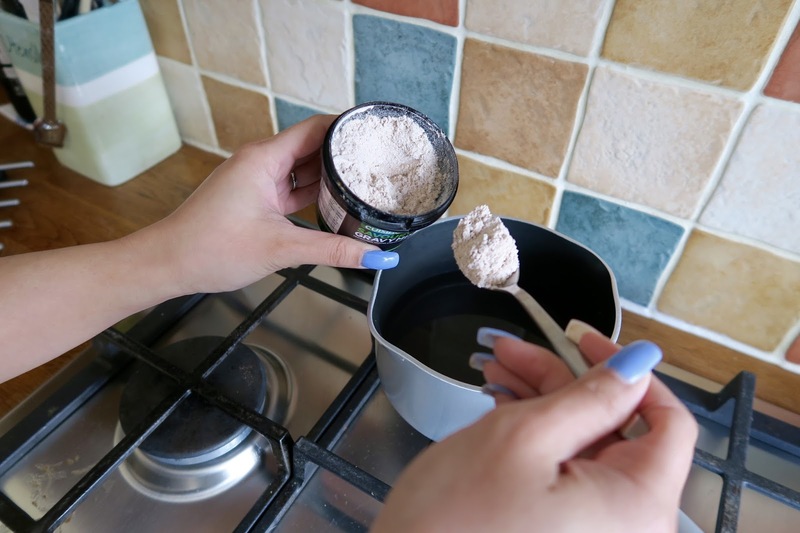 Step five – Serve! 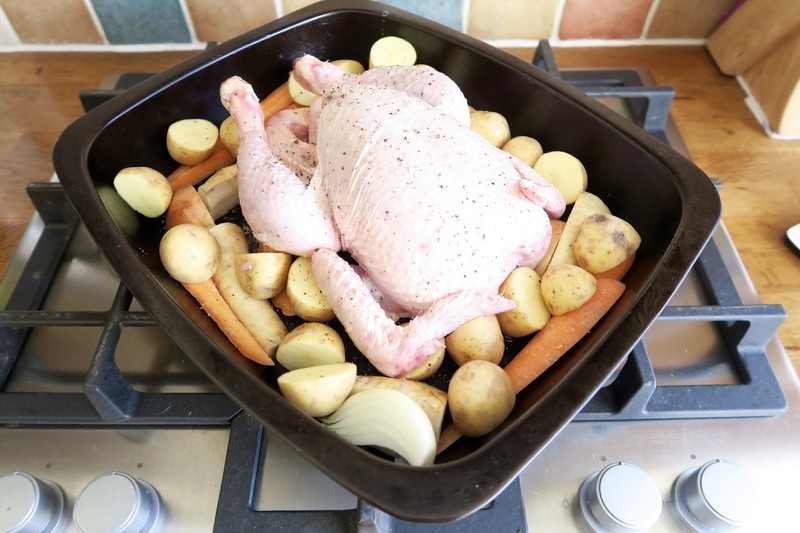 The chicken should be cooked and ready to go, so all that’s left is to cut up the meat, place on the plate, add the vegetables which should be nicely roasted and poura generous amount of gravy on top and tuck in. Enjoy! Are you a sunday roast fan? If yes, do you have a recipe? What a wonderful recipe, this chicken looks amazing!